Cosmetic surgeon Dr. Terry Perkins, founder and medical director of Santa Barbara’s Evolutions Medical Spa, has partnered with one of the top spas in North America to offer clients cosmetic procedures in a luxurious spa resort setting. Not surprisingly, most people don’t consider a trip to the doctor’s office as exciting as a trip to a AAA Five Diamond Resort Spa! Dr. Terry Perkins, a Santa Barbara cosmetic surgeon and skin rejuvenation specialist for over 30 years, understands this fact. 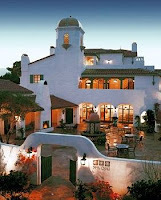 Dr. Perkins has partnered with the Ojai Valley Inn & Spa, one of the top resorts in North America, to give his current and future clients a great new option as to where they would like to receive their medical cosmetic treatments. Many people equate going to the doctor’s office with an illness. Dr. Perkins comments, “The procedures I do are elective and my clients are healthy. Consequently, many of them would love to combine their treatment with a rejuvenating day at a top-rated U.S. spa”. At the Ojai Valley Inn’s Spa, Dr. Perkins and his talented nurses will be offering injectables such as Dysport, Botox, Restylane, Perlane, and Radiesse. Dysport and Botox Cosmetic help reduce frown lines and other wrinkles while Restylane, Perlane and Radiesse are dermal fillers that are used to enhance many facial features. All are considered non-invasive treatments. Clients who see Dr. Perkins at Ojai Valley Inn & Spa will have complimentary access to their state-of-the-art spa center on the day of their appointment. 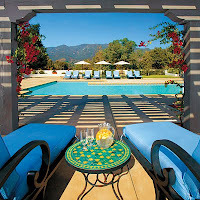 Spa Ojai boasts two pools, mind/body classes, plush locker rooms and extraordinary spa services from massages to body treatments, facials and more. Dr. Perkins, who is also the founder of a Santa Barbara medical spa called Evolutions, will offer services at Spa Ojai three to four times per month in addition to services at Evolutions Medical Spa in Santa Barbara. The pairing of Dr. Perkins, who was voted “Best Cosmetic Surgeon” by Santa Barbara residents in the 2009 Santa Barbara NewsPress Readers Choice Awards, with a world-renowned spa that was hailed as one of the “Top 10 Best Spas” in USA Today, makes perfect sense. As the exclusive provider of medical aesthetic procedures for Spa Ojai, Dr. Perkins brings his cosmetic expertise to a truly luxurious environment, giving his clients the best of both worlds.